The internet connects buyers and sellers no matter where they are and today’s collector car market is spread across the entire globe. Getting an old car to a new owner is often left in the hands of shipping professionals when distance presents a challenge for a buyer. We live in a busy world, and if taking time off to pick up a newly purchased classic yourself isn’t an option, reputable transport services are there to do it for you. When searching for a transport service to handle your collector car, you’re going to want to look for an insured carrier with a history of reliability and safe handling. Be sure the auto transport carrier is experienced in the transportation and delivery of classic cars. Classic cars have different needs than modern vehicles in most cases. Insurance is one of these differences. Make sure the carrier is insured to transport high dollar collector cars. If they aren’t, and you still intend to utilize their services, you’ll want to inquire with your personal insurance provider about what it will take to have them insure the property. The U.S. Department of Transportation regulates transport organizations and provides them with a DOT license number. You can use this number, along with the name of the business, to have the Federal Motor Carrier Safety Administration confirm that the company in question is approved to transport “for hire” and whether or not their vehicles are insured. 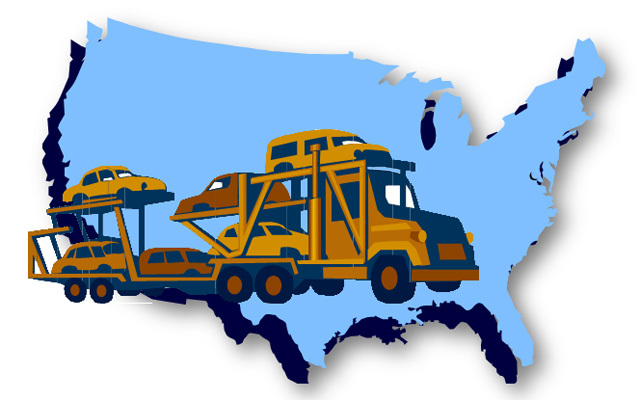 Reliability is a key trait you’ll want to make sure the auto transport carrier has. Do your research and read reviews and comments made by other car collectors regarding the company you intend to do business with. Make sure the reviews are recent and numerous. It isn’t uncommon for a company to pepper reviews with ones they’ve written for themselves. Keep in mind that most people are more vocal when they’ve had a bad experience, and a series of good reviews is still impressive if there aren’t any negative ones. A board with an active community of collectors is the best way to get real and honest reviews. Finding a board member that has experience with the carrier you have questions about is even better. Every company will have stipulations regarding the vehicles they’ll agree to transport. This usually requires that the car be clean, personal items be removed, alarms be turned off and other similar tasks. Once you have decided upon a carrier, you’ll need to work with the seller to insure the car meets the requirements set by the company. The auto transport agent will usually conduct a full inspection of the car before it is loaded onto the carrier, and require that someone be present to sign a bill of lading before taking responsibility for the vehicle. An inspection performed on the vehicle by one of your own agents will make it harder for any mistakes to be made during this critical step. Arranging to have an item as large as a car picked up on one side of the country and hauled to the other can seem a daunting task, but following the instructions of a reliable transport company can make it relatively painless. Once you’ve learned that your collector car is on the carrier, all you have to do is wait. That can be the hardest part! 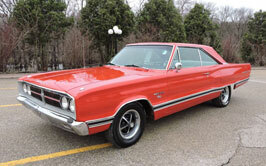 CLICK HERE for previous How to Buy a Classic Car Online installments!